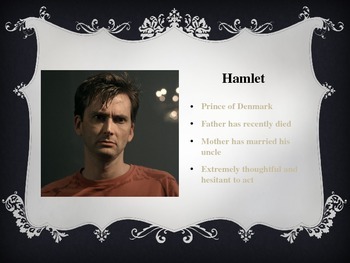 This is a quick overview of the main characters of Hamlet as performed in the 2009 BBC version of the play. 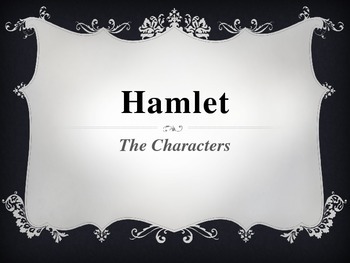 It lets the students know what key character traits to focus on as they make their way through the play. I show this to my students right before we begin Hamlet. I have my students watch the BBC version as they read. I've found this works much better than having them act it out, listen to an audio version, or just read on their own. I highly recommend this particular performance of the play.